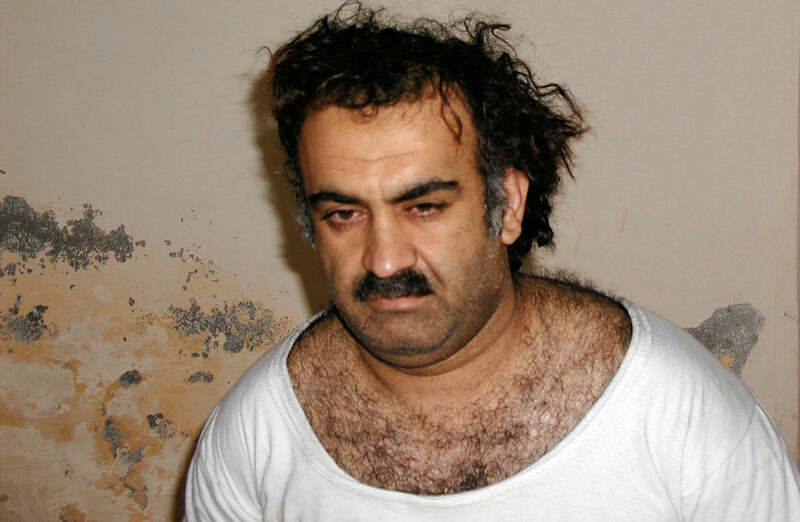 The Feds Don't Care About Khalid Sheik Mohammed's 'Manifesto'? The government has spent the past 12 years sharply restricting communications from terror suspects. So how did a 36-page document by the self-professed mastermind of 9/11 go public? Fearful of the creative ways in which modern terrorists can signal one another, and concerned about the spread of anti-American views, the United States has spent an inordinate amount of time and energy ensuring that captured suspects with even the remotest ties to terror organizations are unable to effectively communicate with the outside world. In civilian custody, "special administrative measures" have been expanded and imposed upon such suspects, sharply hindering the ability of defense attorneys to communicate with their clients. And at the U.S. detention facility at Guantanamo Bay, standing orders from military officials perform a similar function; the idea behind all of these restrictions on speech is that no terror suspect should be able to cause harm from his cell. There has been a great deal of litigation over these restrictions and their impact upon the constitutional rights of detainees. Intelligence officials contend it is better to be safe than sorry—that they can never know for sure which words transmitted from a cell will trigger a new attack. Civil libertarians, however, insist the measures are so onerous that they chill communications that could not possibly be considered dangerous. Lynne Stewart, the ailing civil rights lawyer, was even sentenced to hard time for violating one such restriction. So imagine the surprise this week when The Huffington Post published a 36-page document* written by Khalid Sheikh Mohammed himself, the self-professed mastermind of the terror attacks on America. By far the highest-profile terror suspect captured since the Twin Towers fell, Mohammed is currently in his 11th year of American captivity, having been famously roused from his bed in 2003. Like some of his Al Qaeda confederates, men like Ramzi Binalshibh, he now awaits a military trial at Gitmo. The victim of repeated water-boarding following his arrest, Mohammed has been intransigent and unrepentant in his tribunal appearances over the past few years. Here is the link to the HuffPost piece. And here is the link to KSM's writing. They are both worth reading but Mohammed's work in particular is insightful. He writes about politics. He writes about law. He writes about religion and history and America. The whole thing reads, in fact, like precisely the sort of communication that our government would want to prohibit Mohammed from sharing with the world. But that's evidently not the case. Government officials read the document when it was submitted (but not docketed) in Mohammed's tribunal proceeding, and then declassified it, and even though its release did not evidently occur through proper channels the feds don't seem too exercised about it. Here, in other words, is a leak of a pretty significant sort that the government so far is not complaining about. Here is a whopper of an exception to Special Administrative Measures. You can come to your own conclusions about why the feds might want this document to be out in the world—or at least why they wouldn't be publicly devastated now that it is. Perhaps the feds welcome Mohammed's shifting interpretation of the Quran, which he now says prohibits violence as a means of spreading Islam. Or perhaps they reckon that Mohammed's rambling text will expose him as a rather pedantic man—who quoted Richard Nixon, but from 1992!—instead of the prophet and/or monster he has been portrayed to be. In our civilian courts, information, including personal communications from the defense, is leaked all the time—by prosecutors and the police, by defense attorneys and experts, sometimes even by judges. These leaks all are designed in one form or another to impact the outcome of litigation. But the release of this document, by whomever leaked it, is unlikely to change Mohammed's fate one bit. He will be convicted, and his conviction will be upheld by both the D.C. Circuit Court of Appeals and, if necessary, the United States Supreme Court. Without getting into the specific security apparatus around the detainees at Guantanamo Bay, certain detainees are subject to a military facility commander's order that is similar in many respects to the Special Administrative Measures in force with regard to Tsarnaev and others in pre-trial or post-trial incarceration. That order does restrict communications with the outside world. Meanwhile, a written communications order issued by the judge governs legal mail between detainees who have been arraigned on charges and their attorneys. Non-legal mail is supposed to go through a normal screening process subject to the military commander's order. Though the facts have not been fully established, and the judge has thus far issued no instructions or clarifications regarding his legal communications order due to this incident, this appears to have been a document that arguably had a legal character, in that it was sent to his attorneys and to the court and previously underwent a thorough security review for that purpose that established there is nothing classified in it (but that someone then released to persons outside the court process without clearance from the judge). It's worth noting that it was never docketed as an official filing with the military commission. Filings go through a security review process and then are posted on the website once a cleared version is approved by the judge. It thus appears that it should have been treated as non-legal mail and been subject to the military commander's order. During some meetings with the Accused, a Defense Counsel may receive Non-Legal Mail or Material from the Accused which requires expedited processing for reasons related to the military commission proceedings. For example, the Accused may provide the Defense Counsel with a letter of introduction for the Defense Counsel to use when meeting with a witness. In such instances, the Defense Counsel can submit a request for expedited processing to JTFGTMO via the Privilege Team. In the request, Defense Counsel shall state the date by which processing is required and an explanation for why expedited processing is required. The Privilege Team shall deliver the Defense Counsel's request and the Non-Legal Mail and Material to personnel at JTF-GTMO. If the request is granted, this material shall, to the maximum extent possible, be given expedited priority by JTF-GTMO. A level of review and approval seems to be missing here, in other words, even though the document was initially declassified. And yet I'm told that no investigation into the matter is underway or planned. That strikes me as odd, especially since we are unlikely to ever know who declassified this text or why that person was convinced that Mohammed's tract contains none of the "triggering" language the feds have long told us they fear from these terror suspects. Something just doesn't seem to add up. What's surprising then isn't just that this document, of all documents, has been made public after the government tried so mightily for long to prevent such communications from being public. What's surprising is that the judge in the case, and Gitmo's military commander for that matter, aren't apoplectic that it happened here without their expressed consent. In the meantime, I suspect that every attorney now handling a "special administrative measures" case, in or out of Gitmo, is going to be citing this example to illustrate the arbitrary and capricious nature of some of the most restrictive provisions of the rule. * Everyone seems to be calling it a "manifesto." I guess when someone infamous, accused or convicted of terrible crimes, professes to disseminate his worldview we are obliged to call it a "manifesto." By that measure, Mohammed's manifesto doesn't hold a candle to the modern-age's granddaddy of all manifestos, the one written by the Unabomber, Theodore Kaczynski.